Pearson Yachts began in a garage building sailing dinghies. Eventually the two cousins Clinton and Everett Pearson combined to found Pearson Yachts. There first true sailing yacht was designed by Carl Alberg and was the first production sailboat in fiberglass offered to the public. Pearson Yachts debuted their Triton 28 in 1959 at the New York Boat Show. A complete success, the cousins took home orders for 17 boats. The Triton 28 went on to sell over 750 of this family cruising boat. Pearson Yachts went onto build many more boats from different designers in many sizes. Pearson went through many owners and tribulations of the 1980’s and eventually sold off all assets but the name has gone back to the Pearson family. 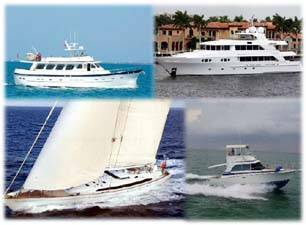 Contact Us for more info of the Pearson Yachts listed below. Contact Us to find your very own Pearson Sailing Yacht for sale. Please also contact us for more Pearson information.